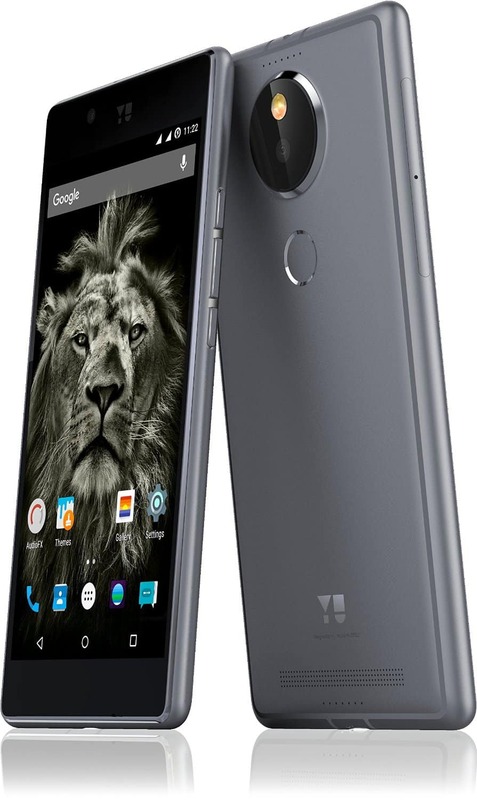 Yutopia is the new flagship device from Micromax subsidiary Yu which is launched at Rs. 24,999 in India today.Find the major specifications of this device. Yu has come up with another smartphone from their factory, but this time, looks like it’s a pure flagship. Yutopia is rock solid in terms of build and performance, as the firm claims. The Yu Yutopia sports a 5.2-inch QHD (2560×1440) display, manufactured by Sharp and has a very high pixel density of 565 pixels per inch. The phone is powered by a high-end octa-core Qualcomm Snapdragon 810 SoC, coupled with 4GB of LPDDR4 RAM. The Yutopia comes with 32GB of internal storage and a microSD card slot that supports an extra 128GB of space. The Yutopia sports a 21-megapixel rear camera powered by Sony Exmor RS IMX230 sensor, which is paired up with a 5P lens, optical image stabilization and a dual-LED true tone flash, along with that a 5P lens 8-megapixel front facing camera is a great add on. Yutopia is juiced by a 3,000mAh battery along with Qualcomm’s Quick Charge 2.0 which makes it possible to charge your phone from 0 to 60 percent in just 30 minutes. Obviously, it has got dual-SIM slots which support 4G LTE. Currently, the phone runs the Android 5.1.1 Lollipop based Cyanogen OS 12.1. Yu has also announced its Assured Upgrade Programme, which guarantees purchasers a 40% cashback discount if they exchange their new Yutopia for a Yutopia 2 in the future. This can be taken advantage of during a specific “upgrade window” whenever the handset’s successor actually launches. 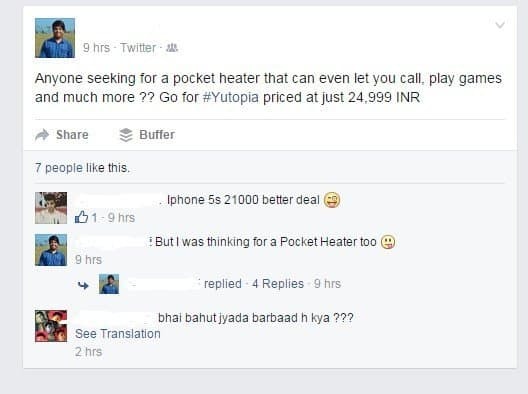 But looks like Yu is now desperately trying to scream a lot to crow as we can see many people who actually tried handsets from Yu still suspect about the build quality and performance, as we know Yu made handsets have the tendency to get too hot. Well, can’t say much right now, but yes I can’t help adding some reactions from Facebook friends of mine. 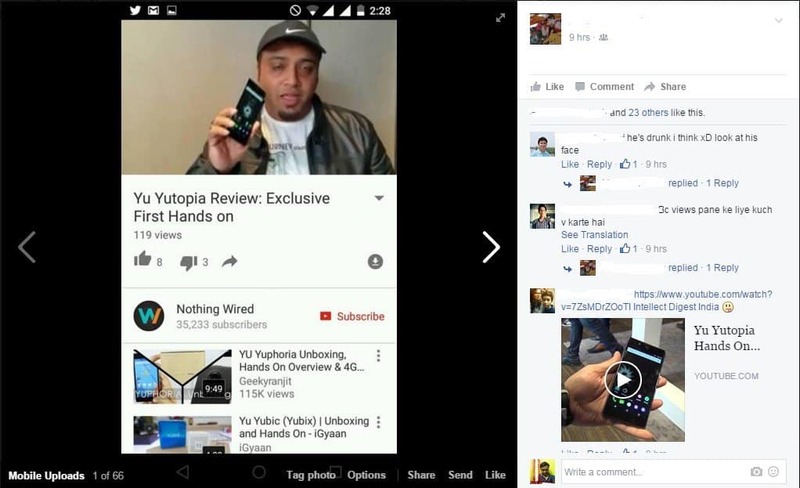 And there are many more funny comments on the new Yutopia smartphone launched today. Nothing is perfect which I believe in, so as far as we concern we really don’t want to give our personal opinion on the heating issue until unless we go on hands-on. Anyhow, if you like to own one, you can buy it directly from Amazon.